Try sinking your teeth into these ferocious, aqua blue sharks! These gummies pack two flavors, blue raspberry and sweet marshmallow, into one intimidating treat! 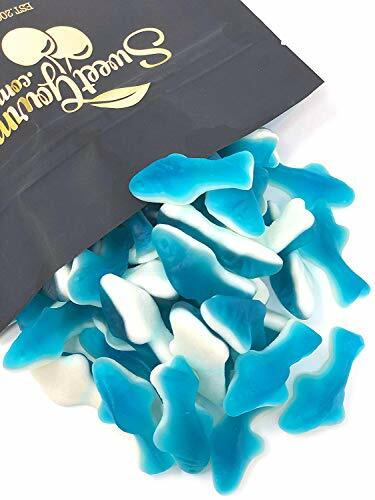 At 1.5 inches long, these are half the length of the regular gummi sharks. If you have any questions about this product by SweetGourmet, contact us by completing and submitting the form below. If you are looking for a specif part number, please include it with your message.